Every time I go home in the Philippines I make it a point that our family stays in Manila for 3-4 days to meet some of my relatives, friends and just go out and check what's the latest happenings in the Metro. We usually stay in Aberdeen Court in Quezon City because the price is cheap and the place is accessible to a lot of restaurants and malls. Since our trip to Manila had coincided with the end of Holy Week most hotels were fully booked which I find weird because I am so used to people who goes out of Manila and observe it in nearby province and beaches. Anyway since Aberdeen Court was fully booked at that time I started to scout some hotels along the area that's affordable and still clean. I chanced upon Tune Hotels through booking.com. Since I don't want to use my credit card I had called the hotel and asked them how can we book a room and just pay upon check-in. Ok so here's the deal, if you booked your room online be it on booking.com or the hotel website you'll get a cheaper rate compared if you booked personally. 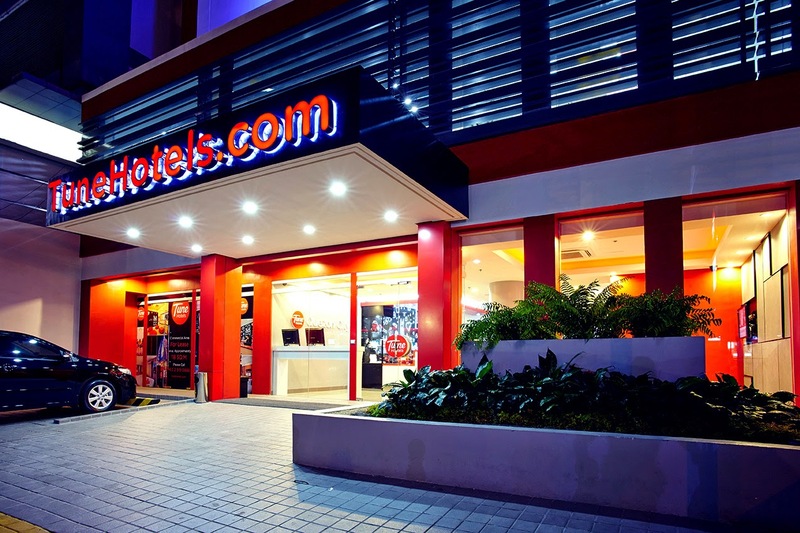 Tune Hotels core proposition is to offer a great night’s sleep at a great price. All of the Tune hotels feature space-efficient, streamlined rooms focusing on high-quality basics: 5-star beds and powerful hot showers. Though minimally priced, the strategically located hotels provide housekeeping services, electronic keycard access into rooms, extensive CCTV systems, and no access into the main lobby without a keycard past midnight. 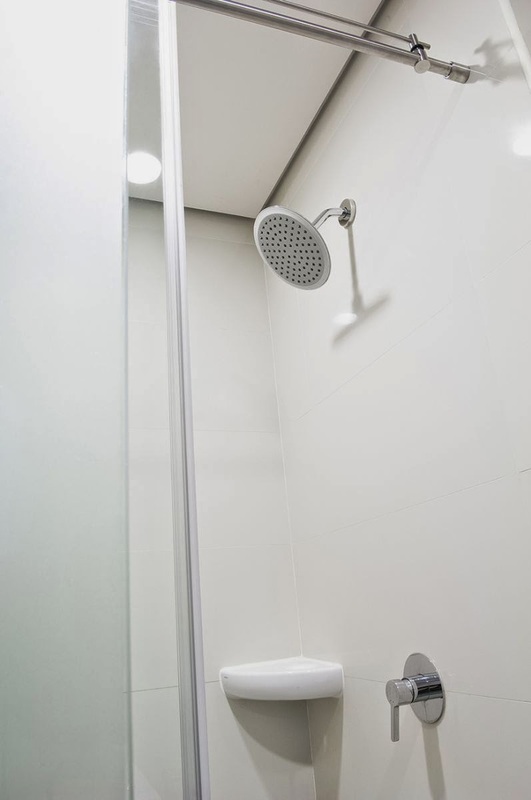 A ‘pay as you use’ system is in place for optional energy-consuming amenities. Please note on their Pay as you use System. Since this is a budget hotel all services have fees which is quite OK for me. 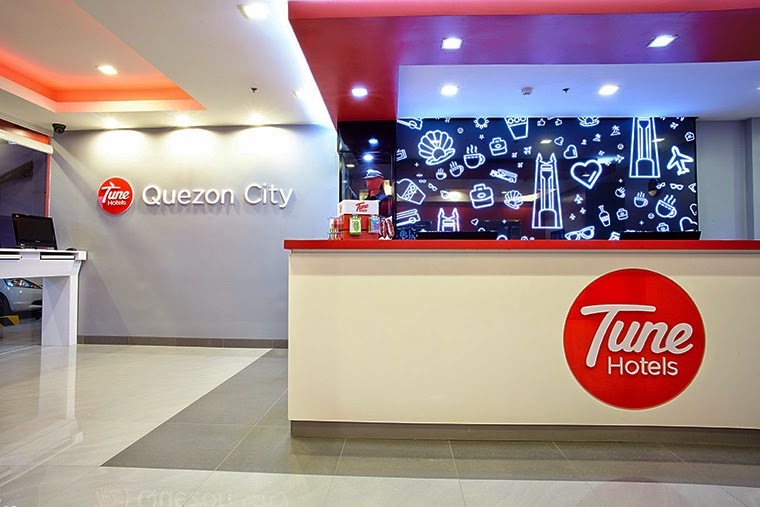 Tune Hotels in Quezon City is easy to find. It's at the back of GMA 7 and almost in front of a gasoline station. They have a very friendly vibe from the outside. They also offer a parking lot for guest with cars. I also feel safer because there are security guards manning the entrance. The reception area. Would you believe that the hotel is almost sold out when I checked in. Again I love the interiors simple yet classy. My parents and I stayed in a twin room. The room is big enough for 3 but if you have some luggage or big bags then expect that the room will be crowded. The sheets were immaculately clean. Air-conditioning is OK. FYI, there is no service phone in each room. You need to go out of your room to call the reception. My sister and her husband stayed on a double room. The bathroom is clean with power shower no bath tub though. Cleaning is everyday and you can request that your beddings be changed. WiFi is not free but is very affordable. What I also love about Tune Hotels Quezon City is that the staff were all friendly and they always serve you with a smile. I forgot how much I pay but since my family and I were very satisfied I can say that it's worth it. And we shall go back again! (photos from Tune Hotels Website). 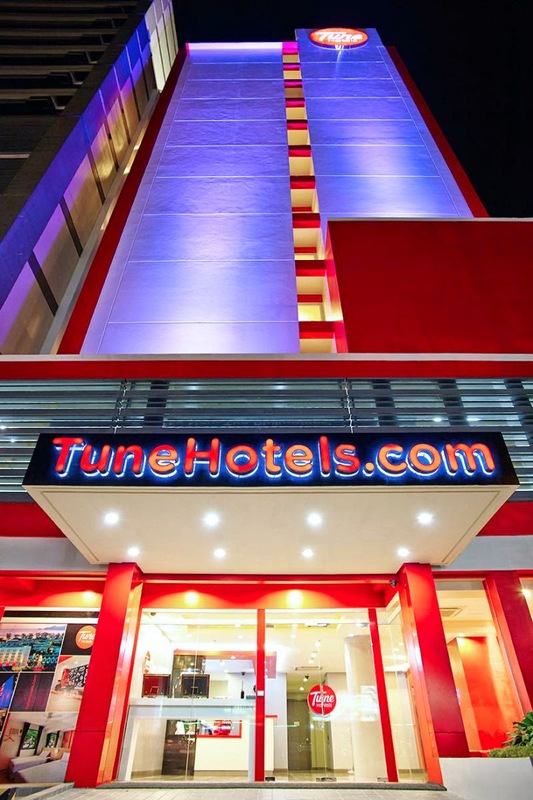 I've been reading a lot of reviews for Tune Hotels. 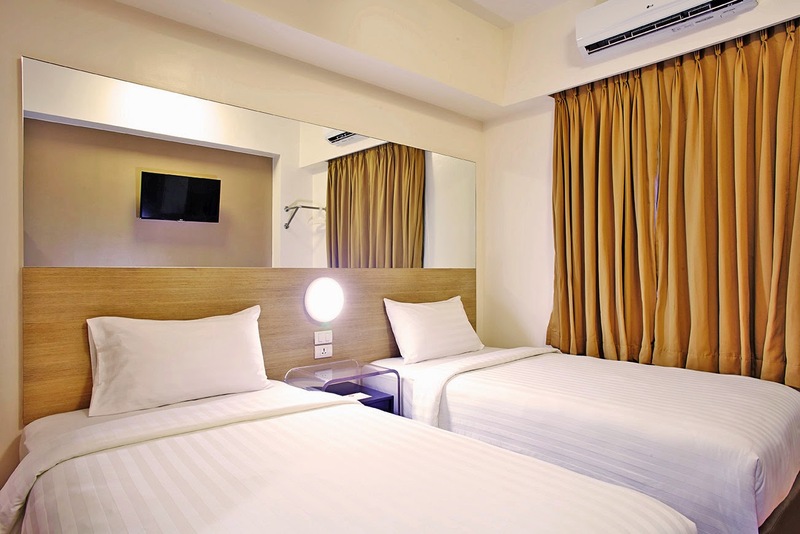 This is a state of the art Quezon City Hotel. I'm browsing the net for the most affordable one. Anyways, thank you for providing a great info about this hotel. Thanks for sharing this post! 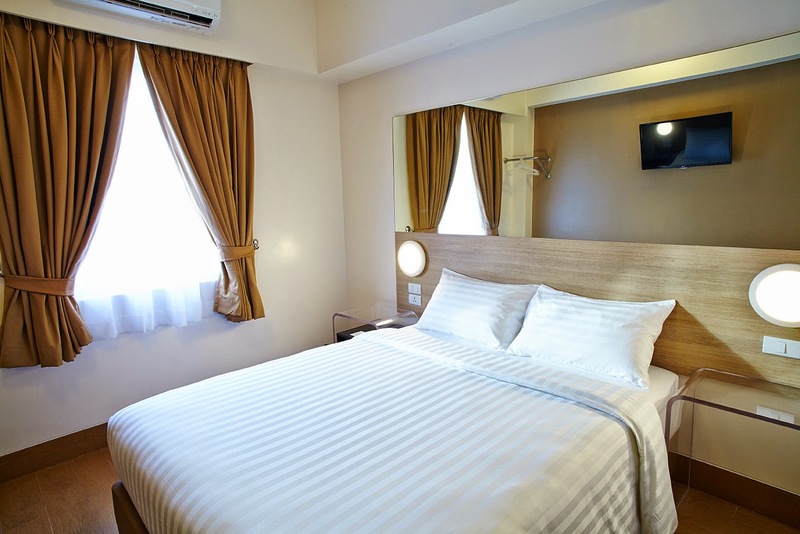 Please visit one of the best hotel in Quezon City, visit http://www.summithotels.ph/hotels/summit-hotel-magnolia/. I heard a lot of good reviews too in Tune hotels. Would totally try this if I started travelling.